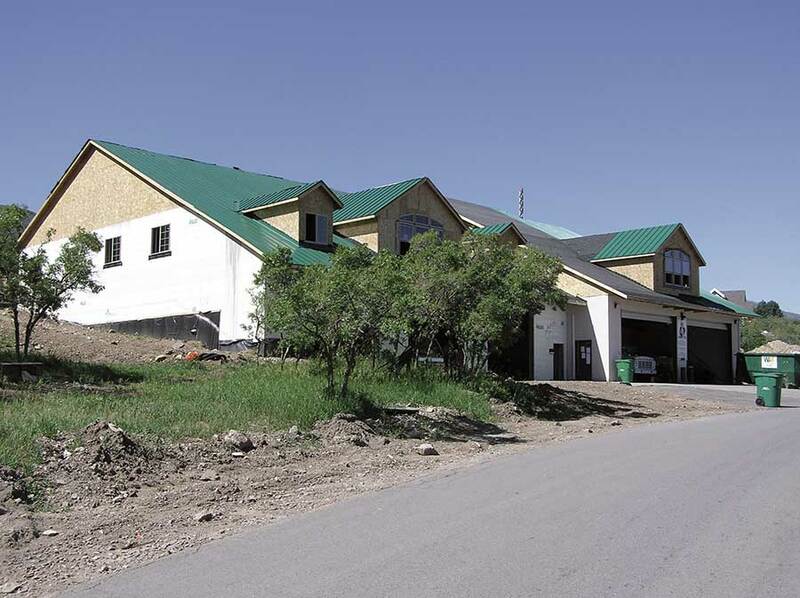 The volunteer fire station in the small community of Woodland Hills, Utah, is a perfect example of how easy it is to build with ICFs. The combination fire station/community center has 17,000 sq. ft. of floor space, and was built almost entirely with volunteer labor. The project began back in 2005, when the town decided that the current 2-bay structure was insufficient. The community’s rapid growth, combined with the fact that the oak brush came right up to many of the homes, made the need more pressing. Bert Cherry, a retired fire chief and local activist, spearheaded the effort. Determined to make a lasting contribution to his adopted hometown, he asked an acquaintance to draw up plans. One thing led to another, and soon the building included a maintenance area, fireproof vaults, city offices, and a community center. 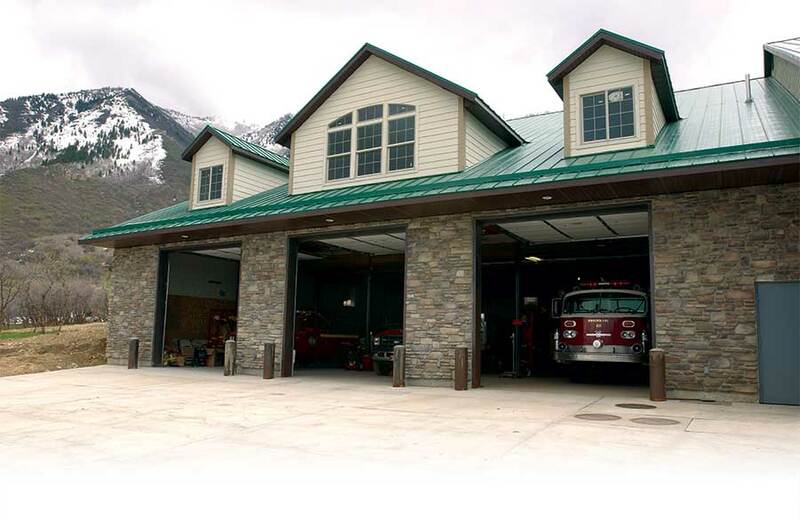 Built into a hillside and incorporating the existing building, the fire station would be sort of a drive-out basement under the community center and city offices, which exited at grade from the other side of the building. Knowing cost would be a major factor, but wanting to build a quality, fireproof structure, Cherry chose to build with insulated concrete forms. “After talking to the people and doing some research on the internet, I was convinced that ICF was the way to go,” he says. He made some calls to local distributors, and settled on Quad-Lock, a versatile knockdown ICF with a local reputation for outstanding service. Cherry hosted the training meeting at his home. Steve Vaughn, owner of Hi-Caliber, Inc., the local distributor, taught a core group of volunteers how to assemble and stack the forms, how to set the rebar, and all the other necessary skills. The amateur crew stacked the walls without any difficulty. After every course, one of the trained builders would make a quick inspection and tie down the rebar. On weekends, as many as 30 or 40 people would be working at once. “The hardest thing was providing adequate supervision,” says Cherry. When pour day came, walls had reached a height of 14 feet above the footer. Cherry, working with the pump truck operator, filled the walls in lifts of four or five feet at a time. The pour went almost perfectly, despite the fact that the walls were built by amateurs. “We had one little bulge on one side, but that was mostly due to a lack of communication between us and the guys doing the vibrating, he says. The scale of the project is apparent in this photo. The gray building in the background (above) is the original fire station. Later the second floor was stacked and poured. 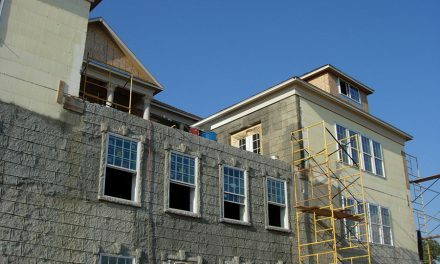 Not counting the gables, which were framed in, the ICF walls reached a final height of 24 feet from footer to top plate. Seen with the second story and new roof, the two doors on the far right of this photo are the original. The rest of the structure is the addition built by community volunteers. Professional contractors were hired for the interior framing and for setting the roof trusses. 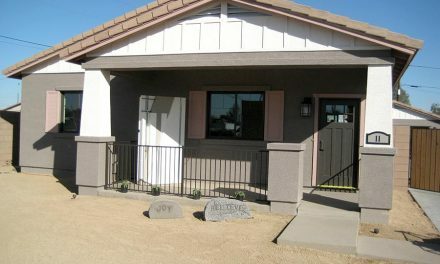 When the building was being designed, Cherry made sure that other construction components would complement the ICFs. The low-maintenance steel roof will last a lifetime. 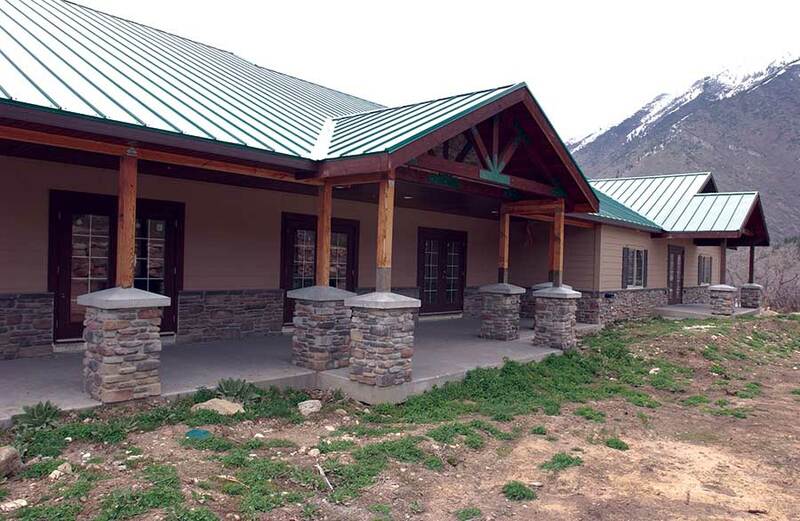 Exterior walls, clad in acrylic stucco, cultured stone, and fiber-cement siding are equally durable. 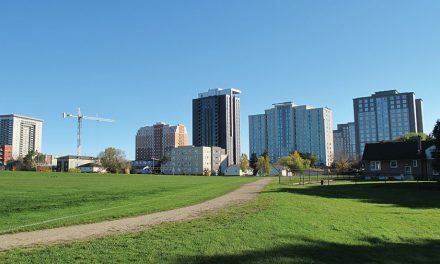 Radiant heat flooring was used on both stories to ensure even, high-efficiency heating for the large building. The back of the building provides an attractive entrance to the community center and city offices. 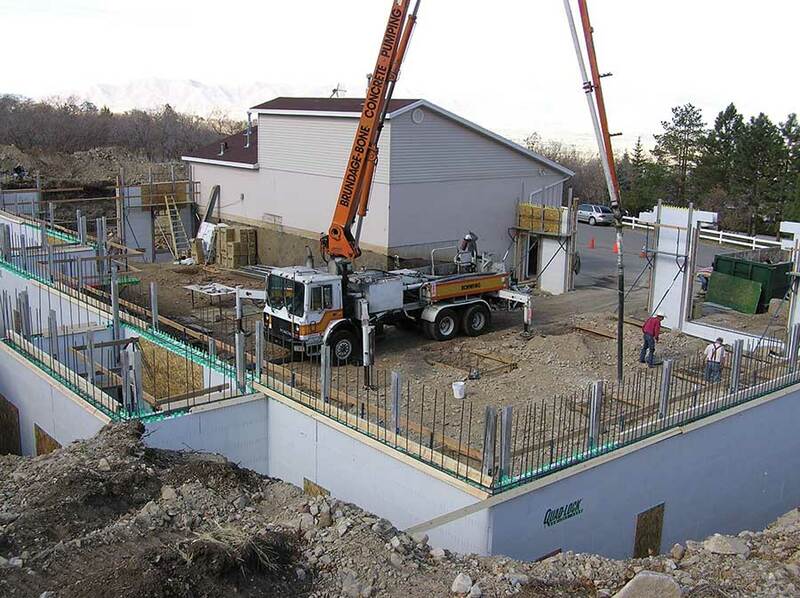 A radiant floor hydronic system provides efficient, targeted heating; ICFs provide high-efficiency insulation.